Using a GPS tracker for your bike provides you both convenience and peace of mind. Depending on your primary need for a GPS bike tracking device, you can take advantage of the many modern benefits it provides when it comes to both tracking your physical bike and navigating your ride. Since you may want one or the other or even both, this article looks at both types. First bike tracking for anti-theft location purposes. Then GPS tracking to help you navigate, track and record your bike rides. Whether you use a bike for casual transportation or you’re an avid cyclist you know that bikes and their components are expensive. With 1.5 million bikes stolen every year, theft becomes a real concern for any of us who value our investment. Installing the best GSP bike tracker on your bike is one of the most important safety measures you can take towards protecting your bike. That’s because the location services it provides puts you in prime position to recover a lost or stolen bike. You may not always get your bike back in one piece, but having one increases your chances immensely for both finding it and getting to it quickly. Choosing a GPS tracking device for your bike takes some research. And of course, that’s why you’re here. See the comparison chart below and then our in-depth reviews below. The biggest question here is if you’re just looking for an anti-theft device with real-time bike locating services, or if you want to track your mountain or road rides and allow others to do the same remotely. As promised above, we look at both types here. Bike “computers” have become popular among serious cyclists, and there is no shortage of devices to help you gather data about your training. These devices aren’t all created equal though, and unfortunately there are some duds out there. You do get what you pay for in most cases. To help you find the best bike GSP tracking system, we’ve picked a handful of trusted and extremely useful models. Our favorite product on the market for tracking a bike’s location is from AMERICLOC. Their GL300W mini real time GPS tracker is without question the best way to pinpoint and monitor your bike’s precise location. 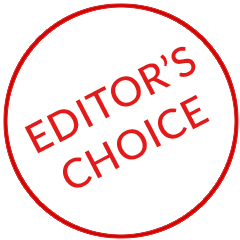 The following is what really makes the GL300W our Editor’s Choice. We think you’ll agree with us. What sets this unit apart from others is its remarkable customer support. Let’s face it, a GPS device is a pretty high-tech gadget. When you factor in what all it can do with connecting and communicating geo-location information, its advanced settings, batteries and so on, they naturally come with some complexities. So when you buy one, you want to be in good hands. You want that “best friend” who has one and has used it so much they’ve become an expert. With the GL300W model, you not only get a solid bike tracking device, you get a responsive team of customer support specialists. They reply via email or phone within a couple of hours, happy to help get your set up, answer questions or resolve issues. Live support is also available, where specialists will help configure your tracker to suit your needs and in the best way for how you intend to use it. They’ll also help with things like how to install it on your bike and how to get the most out of the battery. They can even push software updates to the device over the network. You simply can’t beat this support, which saves you headaches and provides the most peace of mind. For the device itself, other than it just working “as it should”, it’s claim to fame is its extended battery life. The rechargeable battery can last a couple weeks in most cases, and easily for 10 days. Managing the battery life is made easy as well, since you can always check it’s status online using the web interface or the phone app. As a GPS bike tracker, nothing is better than the GL300W when it comes to coverage. It excels as having the widest coverage of any like device because it’s tied to the major cell carriers. If your bike is stolen, would you rather have just one cellular network responsible for finding your bike, or have two or three working for you? It’s an easy answer because this allows the tracker to operate over long ranges and give you highly accurate location information, practically down to the square foot. Once installed, you couldn’t ask for a better way to view and monitor the location of your bike. The post popular feature of this unit is it advanced alert system. Like many similar good quality GPS trackers you can set it to track based on time intervals and receive updates at 60-seconds, 30-seconds or 10-seconds. With AMERILOC, you don’t pay any extra for faster updates like other brands – it’s one flat fee that is competitive with the other companies. It allows you to change your intervals as you need. For example, while riding you could turn it off or just set it to every two minutes. If you want to be more watchful after parking it, you can simply change it to update the status of your bike every 10 seconds. You can customize the system to alert you whenever there’s any movement of the tracker (your bike! ), when it becomes stationary, its speed and of course geo-fencing information such as if your bike were to leave a certain zone or area. In other words, if someone were to move or attempt to steal your bike, you’ll get a text message. You’ll instantly be able to start monitoring where it’s going with some pretty high detail about your your bike’s ongoing location. And when we talk movement we mean movement. If someone so much as bumps your bike enough to move it a few inches you’ll know this in just a few seconds. Alerts also notify you about the battery as well, so you have ample warning for when it gets low and needs charging. This is helpful because the battery lasts so long, you might actually begin to forget about it! As for the actual mapping, you basically get a history of where your bike has traveled. Each update creates a pinpoint on a map and you will see these along the map. Speaking of maps, you can connect online to Google Earth. Using satellite view or even street view if available, you’ll see exactly where your bike is and has been. Tracking is made even more convenient since you can do so using your PC, tablet or phone. One of the most convenient factors about the service you use with any GPS tracker like this is AMERILOC’S 100% flexible subscription service. It has no cancellation fees or contracts. Who wants to sign up for a year plan if you don’t need it the whole year? With the GL300W GPS tracker, you can cancel (put on hold) or start up service at any time. There are no extra fees for this. This is extremely handy for cyclists who travel for races, events or even vacation at certain times of the year. If you just need bike tracking capabilities in the summer months, then just turn your subscription “on” during that time and pay until you don’t need it. Flexibility of GPS plans at its finest, and you can’t beat it. The GL300W GPS tracker comes with a pretty decent user manual and GPS tracking user guide in PDF format. Both are user-friendly and helpful during setup or to answer questions. Again though, you have that amazing customer support at your disposal. The device also includes a “panic” button for emergency situations. 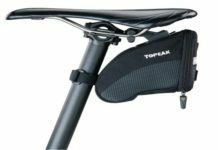 This is helpful if you go on long rides in the wilderness or even use your bike for commuting. It’s ready to send for help with the touch of a button. It comes with a SIM card already installed, so it’s truly the best plug n’ play model available. Other models require you to purchase this extra SIM card before starting the tracking service. The Spy Tec STI GL300 Mini Portable Real-Time Personal and Vehicle GPS Tracker is another great GSP tracker to use for assets like your bike. While using the Spy Tec STI GL300 Mini Portable Real-Time Personal and Vehicle GPS Tracker By Spy Tec, you can easily track the map with the help of Google Maps and follow real-time locations via a GPS chip for your bike via the Internet. To use this GPS tracker, subscription starts at $25 per month; you can also choose higher plans which come with more features. The Spy Tec STI GL300 Mini Portable Real-Time Personal and Vehicle GPS Tracker can give you peace of mind when you’re far away from your home; you can get to know the precise location of your Children, Elders, Loved Ones, etc. Moreover, if you have some vital assets at work/company, you can attach this device and track the location whenever you are not at work. It can update its location every 5 seconds, hence even if the bike theft tracking device is on the move, you can get to know about is location. By association with Google Maps to your PC, Mac, Laptop or Smartphone, you can get customizable tracking records. It even sends text as well as email alerts for the tracker/ person when he/it leaves the specific geographic area. Track Teenagers: When you have a teenage daughter, you’re more careful about their activities. Hence with the help of Spy Tec STI GL300 Mini Portable Real-Time Personal and Vehicle GPS Tracker By Spy Tec, you can know where she is and keep her safe. Suitable for Alzheimer’s Patients: If you have the elderly person with the possible medical situation such as Alzheimer’s, keeping such smart GPS Tracker with her/ him would be beneficial when they forget their way back home. Notifies You: The Spy Tec STI GL300 Mini Portable Real-Time Personal and Vehicle GPS Tracker will tell you whenever the tracking device/ person/ asset has got into a situation or out of the specific area, you’ll get notified. Real-Time Tracking: The device gives you real-time tracking data regarding your kid coming home from school, teenage boy diving late for home, valuable company asset, etc. Anytime Anywhere: The STI_GL300 tracker is going to get you to know about the location anytime as well as anywhere, 24 hours a day. Customizable Tracking Reports: You can obtain customizable tracking reports through Google Maps on your PC, Laptop, Tablet, Mac, Smartphone, etc. gadgets. Multiple Usages: You can strap the device and attach to the senior’s belt or attach to the vehicle, as it comes with the Belt Holster. Even you can keep the tracker in the bag and efficiently use it to know the location. Water Proof: This device comes with M2 Waterproof Magnetic Case. Hence you can conveniently keep motorbike tracker on the underside of the vehicle to track the activity of the car. Set Geographical Boundaries: You can set the geographical boundaries, i.e., the specific location. If the tracker goes out of that precise location, you will get notified regarding that. Sensors: With the help of built-in sensors, the device lets you know regarding whether the bike tracker is on the move or not. It even detects the motion along with powers. Powerful Battery: The Spy Tec STI GL300 Mini Portable Real-Time Personal and Vehicle GPS Tracker By Spy Tec comes with quite impressive battery performance. It runs for about two weeks. Subscription: The subscription plans related to the tracking starts with $25 per month. No Other Charges: You don’t need to pay any other charges such as Activation Charges or Cancellation Charges etc. only the subscription charge. Compact: The Spy Tec STI GL300 Mini Portable Real-Time Personal and Vehicle GPS Tracker By Spy Tec is quite compact and can be kept anywhere in anything. Hardware: It weighs around 8 ounces, and dimensions are 0.9 x 1.5 x 2.7 inches. Trusted Name: Spy Tec is amongst leading brands and has excellent customer reviews with satisfaction. Even they are offering 100% Satisfaction guarantee along with 30-day hassle-free returns. The Spy Tec STI GL300 Mini Portable Real-Time Personal and Vehicle GPS Tracker By Spy Tec would be suitable GPS tracker for your vehicles, teens, elderly persons as well as assets. It is quite impressively compact in size as well as the extended lasting battery will last up to two weeks. Easily attaching the device to Belt Holster, Waterproof Magnetic Case would be extremely convenient. 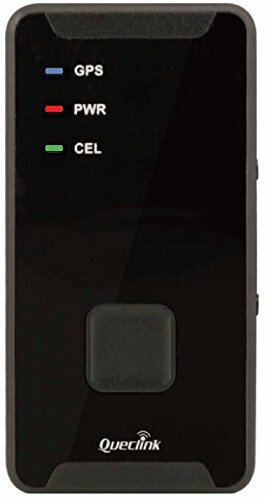 The Spy Tec STI GL300 Mini Portable Real-Time Personal and Vehicle GPS Tracker help you keep tabs on your Teenager Son/ Daughter, Spouse, Elderly Persons, Alzheimer’s Patients, etc. You only have to pay for your subscription which starts at $25, no additional cancellation or subscription charges are there. The Garmin vívoactive HR GPS SmartWatch comes with Bike Mount, and it is an Extra Large sized item. Customers can also choose to buy Regular size as well as there are options for purchasing Performance Bundle as well as Watch Only. The Garmin vívoactive HR GPS SmartWatch is equipped with 24/4 Heart Rate Monitoring with which it has elevated wrist heart technology and lets you know about your heart rate. For that, it doesn’t require any additional straps or anything. The Garmin vívoactive HR GPS SmartWatch comes with efficient battery delivering fantastic results. It runs up to 8 days with Watch/ Activity Tracking mode enabled. 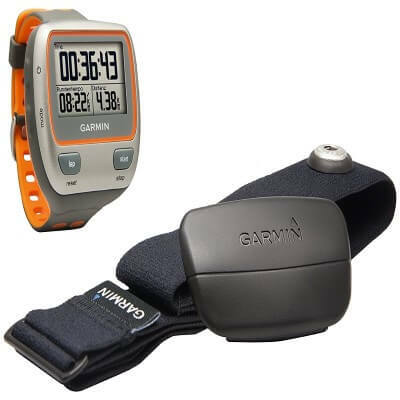 The product is entirely compatible with the massive variety of Garmin Watches. Switching from running to biking mode with clean transition would be convenient and easy to handle. Just like American Heart Association suggests to have activity goals progress being monitored would be beneficial. For that, it has such monitoring features for aerobic activities and other similar activities indicated by various health organizations. Pairing with a compatible smartphone will let you enjoy seem fewer features and amazing functionalities of the Garmin vívoactive HR GPS SmartWatch. It comes with the Garmin Forerunner Bicycle Mount Kit to attach the tracking device to your Bike. Garmin is amongst leading brands for such smart accessories, having this GPS Tracking Watch will be an excellent idea. Heart Monitor: The elevate Wrist Heart Technology offers you the knowledge regarding your heart rate throughout the day as well as night time. While doing such exercises, you need to maintain your heartbeat and also would be knowing the increased heart rate with this device. No Additional Strap: To know about the heartbeats, you do not need any additional strap. For that, all you need is the Garmin vívoactive HR GPS SmartWatch on your wrist. Impressive Battery: The Garmin vívoactive HR GPS Smart Watch delivers remarkable battery life up to 8 days for Watch Mode as well as Activity Tracking Mode. Monitoring: The device lets you monitor the progress regarding your aerobic activities as such as recommended by various health organizations such as American Heart Association. Reach Activity Goals: By knowing about your progress, you can conveniently get to know about activities’ results and know about reaching your activity goals. Compatible Device: When compared with various Garmin devices, it will offer multiple features and functions. Conveniently Switching: To switch the mode from running to biking, the Garmin vívoactive HR GPS SmartWatch is going to be quite convenient, and with a clean transition, you can change it. 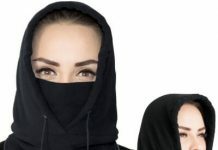 Smart Pairing: The device can be easily attached to your smartphone, and after connecting it, it will send you alert notifications to your smartphone. User Guide: The manufacturer is also offering the User Guide along with the product showing step by step procedures and other essential details in it. Mount Kit: It is quite easier to install/ mount the Garmin Forerunner Bicycle Mount Kit to your bike. Size: The Garmin vívoactive HR GPS SmartWatch, the current product is in Extra Large size. It is also available in Regular size if you want to choose from. Style: The kit comes in with Bike Mount accessories, one can also choose to buy Watch only or Performance Bundle Only. Leading Brand: Garmin is considered amongst trusted as well as widely used brands and vast numbers of people are using their products worldwide. The Garmin vívoactive HR GPS SmartWatch offers numerous features in such a small package. The smartwatch would be quite the impression as well as smart idea to track your daily activities. Mounting the Garmin vívoactive HR GPS SmartWatch on your bike for GPS Tracking is convenient as well as beneficial for monitoring your everyday activities. It has wrist heart technology through which it delivers heart rate all day all night, without any additional straps on it. To unveil all such features, one needs long-lasting battery life, which Garmin offers in a week-long battery performance. The Garmin GPSMAP 64st High-Sensitivity GPS and GLONASS Receiver By Garmin is a high sensitivity GPS and GLONASS Receiver with the variety of features inside it. The device sports a sunlight readable color display on the top for showing the data on it. It also has expandable memory support. It can also be paired with optional ANT+ sensors and receive smart notifications. Such notifications include Heart Rate Monitor, Temperature Sensor, Speed-Cadence and much more. You can also connect the High-Sensitivity GPS and GLONASS Receiver By Garmin through Garmin Connect and upload data wirelessly. Wouldn’t it be great! Later on, you can receive smart notifications as well as explore all data through your smartphone. Sharing activities with Live Track (64s/ 64th) only are also offered here. The High-Sensitivity GPS and GLONASS Receiver By Garmin are equipped with the three-axis compass with the barometric altimeter. Other features such as BirdsEye Satellite Imagery Subscription for One year, Additional Mapping – TOPO US 24 K BlueChart g2, City Navigator NT, BirdsEye Satellite and much more are also included in this device. The battery life of the Garmin GPSMAP 64st High-Sensitivity GPS and GLONASS Receiver By Garmin is about 16 hours. High Sensitivity: The Garmin GPSMAP 64st High-Sensitivity GPS and GLONASS Receiver By Garmin have high sensitivity through GPS and GLONASS inside it. Sensors: There are Compass, Accelerometer, Barometric Altimeter, etc. sensors embedded inside the smart GPS tracker. Notifications: The device lets you receive smart notifications through it as well as through the smartphone connected with it. BaseCamp Compatible: The Garmin GPSMAP 64st High-Sensitivity GPS and GLONASS Receiver By Garmin is also a BaseCamp Mobile Compatible device. Live Track: To live track, you can easily connect it with the Garmin Connect Mobile feature and receive data through it. Additional Mapping: For further mapping, it offers more of features including TOPO US 24K, BlueChart g2, City Navigator NT, BirdsEye Satellite, etc. Battery: Long lasting 16 hours battery is provided with the Garmin smart tracking device. Precise Location: With this device even through the deep canyons and dense cover, you will be able to know the exact location. Sunlight Readable: The GPSMAP 64st High-Sensitivity GPS and GLONASS Receiver comes with 2.6” sunlight readable color screen. 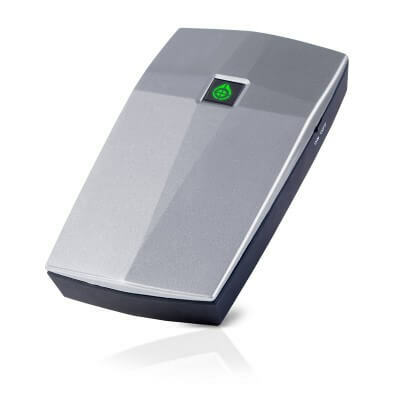 Wireless Connectivity: To connect the device, the manufacturer is offering plenty of features including Bluetooth, ANT+, etc. Add Maps: With the help of detailed geographic, marine and road maps you can also add more of your maps on the device. Garmin Custom Maps: It can also be used by connecting to the Garmin Custom Maps which is a map format allowing users to transform paper and electronic maps conveniently into downloadable maps. Hardware: The Garmin GPSMAP 64st High-Sensitivity GPS and GLONASS Receiver By Garmin weigh around 0.58 lb while its dimensions are 4.2 x 1.4 x 6.3 inches. The Garmin GPSMAP 64st High-Sensitivity GPS and GLONASS Receiver By Garmin offer numerous impressive features regarding precise location even through deep canyons and other difficult to find places. With GPS and GLONASS receiver equipped with Quad Helix Antenna – you will get exact locations through this device. 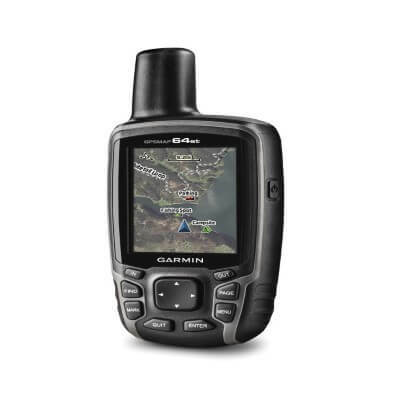 There are plenty of advanced technology features offered by the Garmin in this receiver. 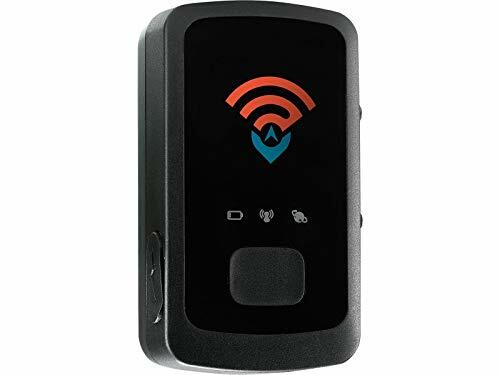 Even it allows users to share records and track data to other Garmin devices through the wireless connectivity features. Additional features include Preloaded TOPO U.S. 100K maps and also 1-year BirdsEye Satellite Imagery subscription. Here we have best quality cutting edge universal bike phone mount from the manufacturer Mongoora. The 2017 Mongoora Bike Phone Mount for any Smart Phone comes with a rigid bicycle phone mount design with highest quality metal as well as plastic materials combined in it. For extra protection, there are three individual durable silicon bands to mount on your bike. The bands are available in various color options to choose from. 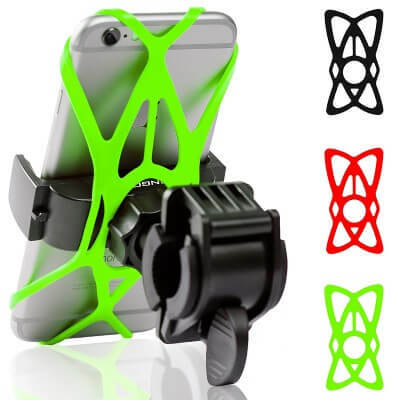 With such safety and amount of the 2017 Mongoora Bike Phone Mount for any Smart Phone, the manufacturer is offering 100% protection against any accidents or loss. One of the many impressive features is 360 rotations which let you enable the device to rotate and keep the way you want it to be on your GPS Bike. The precisely crafted and finely manufactured 2017 Mongoora Bike Phone Mount for any Smart Phone lets you access the entire screen of your smartphone. It also lets you have convenient access to the mic jack, buttons, etc. features. Various colored silicon butterfly bands are also offered for the backup bands in case of any extreme situations. The manufacturer is also offering the lifetime warranty with the 2017 Mongoora Bike Phone Mount for any Smart Phone for your GPS bike. The motorcycle tracker is compatible with the huge variety of smartphones available from numerous manufacturers and brands. Compatibility: The 2017 Mongoora Bike Phone Mount for any Smart Phone is compatible with: iPhone 8 8+ 7 7+ 6s 6s+ 6 6+ 5se 5s 5 4s 4, Samsung Galaxy S8 S 8+ S7 S6 S5 S4 S3, Note 1 2 3 4 5 8, LG G5 G4, HTC, Nokia, Nexus, Sony, Blackberry, Motorola, GPS Holder (Garmin), Go Pro and many more. Size: The bike mount device can be compatible with devices having 3.7” width as well as bicycle/ bike handlebars of 0.9” to 1.3: diameter. Tighter Grip: Unlike any other standard holders, the 2017 Mongoora Bike Phone Mount for any Smart Phone has Clamp’s Automatic Adjustment System Grip through which it will hold tighter as well as safer on the GPS Bike. Extra Security: Not all such products offer extra security features, but here the manufacturer Mongoose is offering many such secure functions. 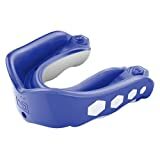 There are three distinctive durable silicone bands which let you have additional protection. Tested: This device has been tested throughout various road and trail ridings and has never been dropped – not even once. Hence it gives total safety and security of your smartphone when it is on this mount. Two Minutes Required: The Installation of the 2017 Mongoora Bike Phone Mount for any Smart Phone requires mere two minutes and you’re ready to use it! Lifetime Warranty: The manufacturer is offering lifetime warranty along with 100% money back guarantee with the device. Hardware: The 2017 Mongoora Bike Phone Mount for any Smart Phone weighs about 3.2 ounces while its dimensions are 3 x 3 x 2 inches. Firm and Elastic: The silicon bands provided with the device are quite high and elastic. They come in three colors viz. Red, Black, and Green. The 2017 Mongoora Bike Phone Mount for any Smart Phone will turn out to be the best quality bike phone mount with numerous safety features. With the device, you can quickly get to access the maps or listen to the music even when you’re riding your bike, and you’re on the go! With precise design and most excellent quality materials used in making the device, it gives you 100% no drop design. Being suitable with almost all the smartphones and having 3.7” width and 0.9” to 1.3” diameter – the 2017 Mongoora Bike Phone Mount for any Smart Phone is the perfect solution for all the adventure lovers. We have one more product from the leading brand Garmin, i.e., Garmin Forerunner 310XT Waterproof Running GPS with USB ANT Stick. It features tracking bike and runs data as well as sending the details to your laptop or smartphone etc. features are also included. Even if you’re a swimmer, then you can surely wear the watch up to a 50-meter depth into lake or pool. For tracking your Position, Distance, Pace you can conveniently the Garmin Forerunner 310XT Waterproof Running GPS with USB ANT Stick offers all these features. Even to know more details such as Heart Rate, Power Data, and other related aspects, you can attach additional compatible accessories to it. The manufacturer is offering a one-year limited warranty with the Garmin Forerunner 310XT Waterproof Running GPS with USB ANT Stick. It runs for about 20 hours on the battery. The battery performance is quite impressive. It takes just a few seconds to switch the Garmin Forerunner 310XT Waterproof Running GPS with USB ANT Stick from wrist to bike! With the help of innovative ANT+ wireless technology, you can transfer as well as analyze your logged data/ tracked data through the device. After planning your workout on your computer, you can send the details to the Forerunner, wouldn’t it be great!! GPS Enabled: The Garmin Forerunner 310XT Waterproof Running GPS with USB ANT Stick is a GPS Enabled device which can also be used as Swim Proof Trainer, Bike Tracking, Running Tracker and much more. Send Data: After swimming, running, biking – one can conveniently send the details to the computer through the wireless functions. Track: GPS, Distance, Pace, Heart Rate and many more features can be tracked with the help of this GPS Enabled device. Even for monitoring other aspects, you can connect it with other compatible devices/ accessories. Battery Performance: The extended lasting battery gives dominant 20 hours performance throughout the single charge. Sync and Share: Your tracks and details can easily be sync and shared with the online community with Garmin Connect and also with optional Garmin Training Center Software. Plan and Share: If you plan your workouts by yourself, then you can also send the details to the Garmin Forerunner 310XT Waterproof Running GPS with USB ANT Stick through your computer, wirelessly. Switch Easily: The device can be switched from Running to Biking within a few seconds. It has various categories of multisport activities for the workout. Hardware: The device weighs 1.6 ounces and dimensions are 2.1 x 0.8 x 2.2 inches. The Garmin Forerunner 310XT Waterproof Running GPS with USB ANT Stick is amongst widely used devices for running, swimming, biking through GPS. To track your position, distance and pace – the device offers numerous features. Even you can connect to various accessories to monitor heart rate, power, and other details. After running or biking, you can also share the data with your computer/ smart phone and analyze it efficiently. To switch between running and biking modes, it takes just a few moments. Moreover, it has numerous categories of multisport activities and workout in it. With longer battery life and manufacturer warranty, the Garmin Forerunner 310XT Waterproof Running GPS with USB ANT Stick is worth a purchase. At number seven, we have TrackR bravo – Bluetooth Tracking Device By TrackR which can track almost anything like phone tracking, item tracking, etc. 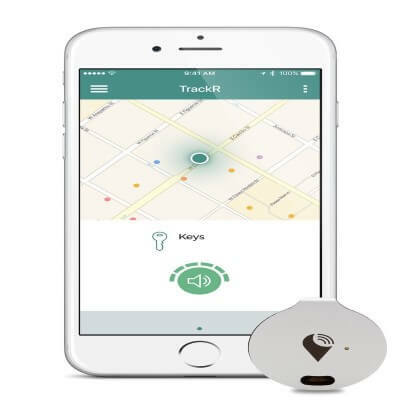 The TrackR bravo – Bluetooth Tracking Device is iOS as well as Android compatible smart tracking device. It is available in various colors such as Silver, Black, Rose Gold, Blue, etc. and you can choose any of these colors. Here, we are discussing TrackR bravo – Bluetooth Tracking Device Pack of One, you can also choose from Pack of Two, Pack of Four, Pack of Eight, Pack of Sixteen based on your requirements. For tracking multiple items, you will need the pack of more TrackR bravo – Bluetooth Tracking Devices. All you need to do is purchase the TrackR bravo – Bluetooth Tracking Device and attach it to your Keys, Wallet, Purse, Bag, Laptop, etc. Whenever you can’t find these items to which you can connect the tracker, you can just hit the button, and it will start buzzer and let you know about its location within a few seconds. If you’ve attached it to your smartphone and you’ve lost it – and on top of everything, your smartphone is in Silent mode, even though the TrackR bravo – Bluetooth Tracking Device will ring it! Through Crows Locate, you can locate your lost items on the map. The TrackR app is free to download as well as compatible with iOS and Android devices. Works on Anything: The TrackR bravo – Bluetooth Tracking Device can be attached to almost anything. You can choose to connect the device to those items you keep losing such as Keys, Wallets, Bags, Remote Controls, or just anything. Find Through Phone: With the TrackR App downloaded and installed on your smartphone, you can find those items. Find Your Phone: If you’ve attached the TrackR bravo – Bluetooth Tracking Device to your phone, and it’s on silent mode – it is going to ring. All you need to do is have to Find My Phone Skill for Amazon Alexa. Replace the Battery: The TrackR app also notifies you regarding the low battery level. Even you can order the free replacement of the batter through the app. TrackR Crowd Locate Network: With the help of Tracker Crowd Locate Network, you can track your items. In case if any other user passes by your item, they can also send you notifications regarding your issues. Sleek and Slim: The TrackR bravo – Bluetooth Tracking Device is the most elegant as well as slimmest Bluetooth tracker. Along with that, it is designed precisely to last long. Color Options: The TrackR bravo – Bluetooth Tracking Device is available in Rose Gold, Black, Blue, Silver, etc. color options. Choose the Pack: The tracking device is available in various packs. You can choose from 01 Pack, 02 Pack, 04 Pack, 08 Pack, 16 Pack based on your requirements of a number of tracking items. Material: The tracker is made of a brushed aluminum material, and it is designed to last long with its users to track the item. Compatibility: It is compatible with iOS as well as Android devices having Bluetooth version 4.0.
iOS Devices: It is compatible with iPhone 4s and newer, iPad and Retina display and iPod touch. Android Devices: It is compatible with Android phones, including Samsung Galaxy S7 Edge, Samsung Galaxy S7, Samsung Galaxy S6, Samsung Galaxy S5, Google Nexus 5X, Sony Xperia A, Sony Xperia X Performance, Sony Xperia Z3, Sony Xperia Z4, Sony Xperia Z5 – and more. To know more about your device’s compatibility, go to the TrackR Customer Support for more details. Hardware: The TrackR bravo – Bluetooth Tracking Device weighs around 0.3 ounces while its dimensions are 1.2 x 0.2 x 1.2 inches. The TrackR bravo – Bluetooth Tracking Device by TrackR would be the quite amazing device for tracking almost any of your values as well as handy items. You can save a lot of time by placing this tracking device on the items and search them faster as well as quicker. Moreover, you do not need to keep checking on it as the smart notifications will send you notifications regarding the low battery level. To know the tracking devices’ location, you will need the free downloadable app of TrackR, and that’s all. The Vectu Portable Vehicle Tracker GPS/GSM Tracking Real-time Locator for Cars Motorcycles Scooter Bike Golf Carts – Grey By VECTU is at number 8. This is a real-time locator for all your vehicles which works based on GPS and GSM. When you purchase it, the device comes with installed SIM Card as well as two days of service – free of cost. After the low cost, the service starts at $15.00/ quarter or $50.00 prepaid, annually. You do not have to pay for any of the activation fees for the Vectu Portable Vehicle Tracker GPS/GSM Tracking Real-time Locator. You can track this device through any of the smartphones, worldwide with the help of bike theft tracking device Vectu. Once you start using this unit as motorcycle GPS Tracker, you will know that it is amongst Best Bike GPS with the advanced GPS tracking chip for bikes in it. The manufacturer is offering unlimited user alerts via Text, Email as well as All in App Notifications. Such notifications include Low Battery Level Alert, Help Alert, Geo-Fence Alert, Speed Alert, Power Connect or Disconnect Alert, Unauthorized Alert and many more. The Vectu Portable Vehicle Tracker GPS/GSM Tracking Real-time Locator helps you to monitor your loved ones all the time and improve if they’re in any situations. To use the device, you will require myAspenta App which can be freely downloaded from the web. It also offers Live Tracking, with which you can get 60 seconds updated data whenever the vehicle is on the move. You can also add multiple mobile numbers as well as email IDs to receive notifications from the device. Live Tracking: If you’ve attached the Vectu Portable Vehicle Tracker GPS/GSM Tracking Real-time Locator to your vehicle, it will turn out to be quite beneficial when the vehicle is stolen, or someone else is using it. You can track the car with Live tracking and get data updated every 60 seconds when it is on the move. Use With Any Vehicle: The Vectu can be attached to any of your valuable vehicles including Cars, Bikes, Motorcycles, Scooters, Electric Bikes, Golf Carts, etc. and so many more. Works Anywhere: This device is compatible worldwide, wherever the GSM Cellular reception is available. Geo-Fence: The device will send you alehttps://www.amazon.com/dp/B01BEZ7TQM/rts whenever the Vectu leaves confident, pre-decided geological area. Sped Alerts: You can also get to know about the speed of the vehicle. If the speed is exceeded, then you will undoubtedly receive notifications regarding that too. Arm Feature: It will create an instant Safe Spot on the device and also can be alerted in case if that moves from the location. Instant Notifications: It will send immediate SMS/ Email or Push Notifications if you’ve set such settings. Help Button: It will send alerts regarding the help in case of emergency, and then you can get to know about it. Multi-Users: The Vectu can be shared with more people, with your family members or loved ones. Additional Notifications: The Vectu Portable Vehicle Tracker GPS/GSM Tracking Real-time Locator will send notifications to you. With individual settings, you can set the notifications to be sent to multiple people, not only you. Histotrack: You can get to know/ view the historical trip view with this feature. myAspenta App: With the help of this app you can add more devices and customize as well as manage various settings through it. In-App Notifications: The app will also notify you regarding the Low Battery Level, Help Apert, Geofence Alert, Power connect-disconnect Alert, Over Speed Alert and many more other alerts too. GPS and GSM: This device works/ tracks on the GPS as well as GSM features and lets you know about the current and precise locations. Efficient Working: With T-Mobile Services, the Vectu Portable Vehicle Tracker GPS/GSM Tracking Real-time Locator is going to work quite efficiently. Hardware: The device weighs minimal as 3.4 ounces and dimensions are 3.7 x 2.2 x 0.7 inches. Colors: It is available in Grey and Blue colors, you can choose as per your choice. The Vectu Portable Vehicle Tracker GPS/GSM Tracking Real-time Locator is an impressive as well as the effective device. In such smaller sized device, it is equipped with much more inside it. The live tracking through GPS and GSM is quite amazing with numerous types of alerts and notifications. The device comes with installed SIM Card inside it along with integrated rechargeable battery and Micro USB Cable, and Quick Start guide with step by step instructions in it. You can conveniently download the app, i.e., myAspenta from the internet and after register-login, activate the Vector through the serial number, and there you go! All set, start tracking your vehicle. Using such GPS for bikes theft has been quite familiar nowadays, as everyone is concerned about their favorite bikes. Being such a popular and leading brand, Garmin has quite the range of such tracking devices. Here we have Garmin Edge 520 Bike GPS By Garmin which is a bike GPS. The device comes with in-ride challenges through the Strava Live Segments. It reports cycling – specific VO2 max and the recovery time when it is used with power and heart rate. You can also easily pair the Garmin Edge 520 Bike GPS By Garmin with other compatible ANT+ indoor trainers for data display as well as control. The device is also capable of tracking Functional Threshold Power (FTP). Using it with Vector or Vector 2 power meters, you can choose watts/ kg for cycling dynamics. Other connected features include Automatic Updates, Live Tracking, Smart Notifications, Send/ Receive Courses, Social Media Sharing, Weather Details. You can conveniently compete as well as compare your track records with your friends and fellow cyclists. Whenever you are on the move, it will show Distance To Go along with FTP Test with Auto Calculation mode. The Strava segments will also send automatically sync with the 520 for love feedback during your ride. From start to finish, you will receive leaderboard rankings as well as other essential details. The Garmin Edge 520 Bike GPS By Garmin features the GLONASS along with Segments, LiveTrack, Connect IQ and many more features. First Ever Device: The Garmin Edge 520 Bike GPS By Garmin happens to be the first device to have Strave Live Segment Challenges in it. Analysis Features: This GPS system for bike comes with advanced analysis features such as Time in Zone, Cycling Specific Vo2 Max 1 and Recovery Time 1, Indoor Trainer 2 Support, Cycling Dynamics 3 along with various others. Compatible: The Garmin Edge 520 Bike GPS By Garmin is a compatible device with GPS as well a GLONASS Satellites. So, nothing to worry – just go on with this GPS device for the bike. ANT+ Compatible: It is also compatible with ANT+ indoor trainers for data display as well as control. Connected Features: The bike tracking device shows numerous relevant features such as Live Tracking, Smart Notifications, Automatic Uploads to Garmin Connect, etc. 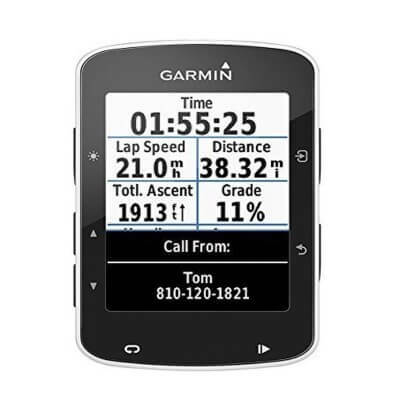 Screen Size: The Garmin Edge 520 Bike GPS By Garmin’s screen size is 1.4” x 1.9” (3.5 x 4.7 cm). 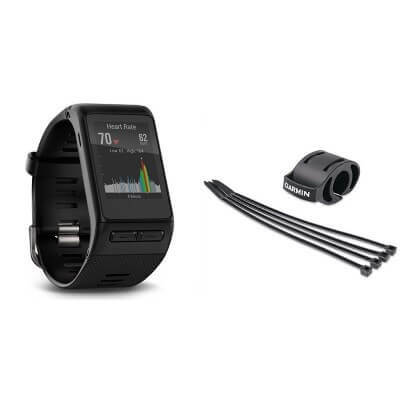 Additional Features: This device from Garmin also comes with several other additional features including Segments, ANT+ Gear Shifting Compatible, Live Track, Connect IQ, etc. Reports Cycling: The specific V02 max and recovery time are displayed when you use it with Power and Heart rate. Do More: It also offers users to share their tracks with their friends through features including Smart Notifications, Send/ Receive Courses, Social Media Sharing, Automatic Uploads to selected elements, etc. Connect and Share: After your ride is completed successfully, you can send data through Garmin Connect to the online community to Save, Plan, Share all your trips. Pair and Go: After pairing with a Power meter, the Garmin Edge 520 Bike GPS By Garmin will offer numerous features including FTP and watts/kg tracking for comparing yourself to others. Rugged: For all your off-road trails and cycling, the Garmin Edge 520 Bike GPS By Garmin is the perfect device, as it is robust. Extended Lasting Battery: It comes with 15+ hours of battery life and lets you enjoy your biking/ cycling time. Hardware: The Garmin Edge 520 Bike GPS By Garmin weighs around 2.1 ounces, and dimensions are 2.9 x 0.8 x 1.9 inches. The Garmin Edge 520 Bike GPS By Garmin offers Strava Live Segments along with the two-month trial of Strava Premium. The membership offers you starred Strava Segments automatically sun with the live feedback throughout your ride. You can even add the heart rate, and then the device will get obtain your Vo2 max estimate along with post-ride recovery time. It also shows the time when you can attempt another hard effort. Wouldn’t it be great to know!! Other features offered through the Garmin Connect Mobile App and Garmin Connect – online community, it allows you to Save, Share, Plan your rides. At number 10, we have Linxup OBD GPS Tracker with Real-Time 3G GPS Tracking, Car Tracking Device, and Car Locator, Car GPS LPVAS1 – No Contracts By Linuxp. The Linxup OBD GPS Tracker with Real-Time 3G GPS Tracking offers to monitor fleet driving activities including Location, Direction, Speed, Traffic and much more. It is a GPS tracker with 100% accuracy with Google Maps and helps you to find fleet drivers! With this device, you can also review driving routes through the GPS Tracking. For driver locations, you can also set GeoFence around the work locations including Job Site, Home/ Office, Restricted Areas, etc. 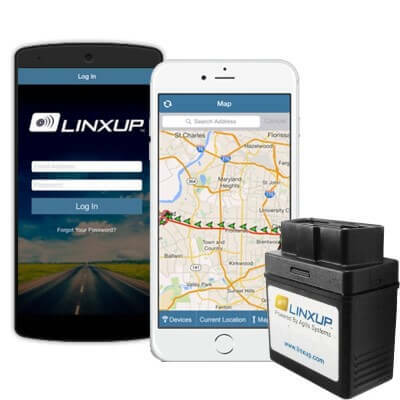 The Linxup OBD GPS Tracker with Real-Time 3G GPS Tracking comes with No contracts as well as No cancellation fees. This Car/ Bike Tracking Device tracking through the mobile apps is free and so is the unlimited read time email and text notifications/ alerts are. It is an accessible and affordable GPS Tracking system for real-time GPS tracking for Companies, Fleets, and Personal Vehicles. You can also get detailed reporting from Linxup with the help of GPS Tracker by turning the Data captured by your vehicles and assets. The built-in maintenance management system will track the scheduled maintenance, and there will be no need for paper and pens to monitor the timing. The tracker installs into OBD port and comes with manufacturer’s limited lifetime warranty. Secure and Affordable: The Linxup OBD GPS Tracker with Real-Time 3G GPS Tracking will be quite easy and affordable solution for companies, fleets, personal vehicle tracking. Track Smartly: It lets you know various features handy, such as Identifying Drivers’ locations, Reviewing Driving History, Monitor Driver Safety, Performance, etc. Real-Time Alerts: Whenever the vehicle/ car is on the move, you can get to know about real-time details. Such alerts include Speeding, Idling, Off Hour Usage, etc. and will help you to improve the performance along with efficiency. Detailed Reports: You can also get detailed reports from Linxup and get to know regarding valuable insights to improve the performance of your fleet. Geofence Feature: The system will notify you through alerts whenever the vehicle goes in or out of the virtual boundaries set by you through the Geofence. It can be an office, job site, restricted area – whichever area you want to restrict. Beneficial: Using the Linxup OBD GPS Tracker with Real-Time 3G GPS Tracking is quite helpful, as you can get to deliver better service by responding to the customers faster along with optimizing their routes. Increase Safety: It lets you optimize and then determine an unsafe behavior of the driver and hence you can reduce the liability risk. Monitor Alerts: By monitoring the alerts one can get to maintenance to reduce fuel usage and idling times can also be avoided. Additional App Alerts: The GPS Tracking mobile apps lets you have unlimited real-time text, email alerts. Add-On Features/ Optional: If you’re thinking to buy the Linxup OBD GPS Tracker with Real-Time 3G GPS Tracking, you might want to know about other beneficial add-on/ paid features. They are Dispatch Jobs -with incremental monthly fees, Route Monitoring – with additional monthly payments, and many more. Hardware: The Linxup OBD GPS Tracker with Real-Time 3G GPS Tracking device weighs around 2.1 ounces, and its dimensions are 1 x 1.8 x 2.1 inches. The Linxup OBD GPS Tracker with Real-Time 3G GPS Tracking has so many features for tracking the car’s performance. How amazing will that be when you will be able to know every single detail of your car/ vehicle, even when you’re not the one who’s driving it! Easily monitor fleet driving activity including Location, Direction, Speed, Traffic, Specific Location, Reviewing Driving Routes, Real-time Alerts for Speeding, Idling, Off Hour Usages and many more. For monitoring as well as analyzing fleet driving performance, the Linxup OBD GPS Tracker with Real-Time 3G GPS Tracking device will turn out to be quite efficient as well as efficient. Each of the above mentioned GPS Trackers is quite efficient for their work, i.e., GPS Tracking. Some of them are suitable for Cars, Bikes, Other Vehicles while several are best suited to track almost anything including your Keys, Wallet, Mobile, Remotes and so on. Even we have added a few of the smartwatches which will help you to monitor your bike’s GPS Tracking along with Running, Biking, Riding and many other aspects related to the bike’s riding. All these features are quite adequate for knowing every single aspect regarding your activities such as Bike Riding, GPS Tracking, Car Tracking and more. For your Car/ Bike: Set the GPS Tracker on your car or bike through the Chip/ Transmitter, and then you can check the location from the receiver which you have with you. It works based on the bike tracker chip embedded in the tracker. For your Children: Keep the GPS Tracker in your child’s bag or pocket, and then you can track their location quickly. The market is full of such vast varieties of GPS Trackers; you have to choose precisely which type of tracker you want. You can select GPS Tracking Device for Car, GPS Tracking Device for Bikes, and many more categories are also available. Such categories include Bike Tracker, Bike GPS Tracker, Motorcycle GPS Tracker, GPS Tracker for Bike Theft, Bike Anti Theft GPS Tracker, and so on. With the help of such advanced technological GPS system for a motorcycle, one can obtain the real-time location of the bike/ cars, what more would you want from the bike tracking system!! If you are a cyclist and have such fancy and extravagant bike, using the Best Bike GPS Tracker for Bikes is going to be the advantageous thing. Check which type of connectivity does your tracking device requires, i.e., Wi-Fi, Bluetooth, NFC, GSM Cellular, NFC and so on. Check the associated/ compatible apps for your Android/ iOS device. Check for the reviews from people who are already using the device. Additional Safety Features of the device. Also, see if there are any monthly/ yearly fees associated with it. Compare the price of several GPS Trackers before coming to a final choice. Go for the widely trusted and famous brand. Must be rugged/ sturdy material. So now, here we have the entire list of Top 10 Best GPS Tracking Device for Bikes Reviews. Read the below list which contains the variety of such Best Bike GPS Tracker along with their Features, Pros, and Detailed Description. After reading the entire article of car/ bike tracking system, you will be getting an idea to determine suitable motorbike tracker/car tracker which fulfills your requirements. Getting a GPS tracker is a worth it investment, it can help against theft and especially the emergency alerts. Any recommendations which brand is the best? Thank you for creating this list. These GPS devices come handy as additional security and in case of emergency. Aside from this, do you have any other suggestions for tracking devices? hi kelvin, thanks for commenting here. we update more information on this top 10 best GPS tracking device for bikes soon. I used trackimo for my bike. So far I have no issues about this device. What I like it the most is it is very lightweight and it is now on 3G. hi Alex, thanks for commenting here. we update more information in this site soon. Hey, that’s what I have been using for the meantime too! Since I couldn’t afford other tracking devices. Surprisingly their tracking device did deliver well! Giving accurate locations of what I was tracking. Hey this is a very useful post! I love using tracking devices that already uses 3G. hi Christian, thanks for commenting here. we update more information in this site soon. Thank you for creating this list. Trackimo makes my life more easier and safer. It’s true! That tracker works on 3G GPS signal and can easily be mounted on a bike. Its app works on most phones and you can see the map there with it. I want to use tracking devices for my bike just to increase and insure my safety and security. Do you have any other suggestions aside from this list? Thanks! I used trackimo for my bike and i really like it because it is very handy and a hassle free device. Anyway thanks for this list. Thanks for posting this list. But I already used trackimo for my bike. So far it works so good for me. I used the same device on my bike for long-distance cycling and surprisingly it did map the place I was in while the one tracking our location was kilometers away. Thank you for this list but aside from this do you still have any recommendations? There are a handful of trackers available but Trackimo has been working for me greatly. I like how accurate the location reports are and I can check the history too. You have to check Trackimo, I’ve been using it for a few months now and it functions as expected. Hi Stace, you might want to check Trackimo. It’s one of the most versatile GPS trackers I use it on my drone as well as my car. Wow, tracking device features are getting better. Technology can really help us in a lot of ways. Which of these devices would you like? It is sure nice to know that you have the means to monitor your bike anytime, anywhere. Thanks for these type of devices. I’d prefer to use a 3G GPS than a Bluetooth one, looking forward to an article about it.